Please read our Code of Conduct before joining the site. • I am 18 years old or older. • I am single (single, divorced or separated). • I will treat all Green Tea and Coffee members with dignity and respect. • I will keep confidential all information given to me in private and I will not give it to anyone else without the permission of the person who provided it to me. • The information I provide about me will be true in all respects, including age and relationship status. • My communications with all members will be honest. • I will upload a profile photo and complete my profile. Any profile or additional photo I upload will be of me and will be recent (1-2 years). • I will not include my personal contact details in any publicly viewable area of the site. • I will not give anyone my password or allow them to log into my account. • I will not use Green Tea and Coffee for sending spam, advertising or commercial communications to members, or for any commercial purposes. 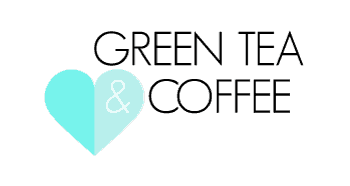 • I will not make any abusive, profane, defamatory, obscene, threatening, harassing or otherwise offensive comments to or about anyone on Green Tea and Coffee (including it’s staff). • I will not communicate with members who have indicated they do not wish to have contact with me. • I will report breaches of the code of ethics or Green Tea and Coffee‘s terms and conditions to Green Tea and Coffee.